You should print one that reads "Homo. 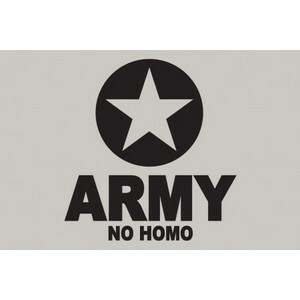 No Army." That would be really funny -- I think.